Medicine is changing and marketing must become part of your practice strategy. Your listing in the Yellow Pages is now not enough. Do you have a website that can be easily found? Do you have a practice Facebook page and Instagram account that reflect your practice brand? Is your brand modern and communicate who you are? If you think your practice doesn't need to market just remember that your competitors, at some point, will start marketing and leapfrog your practice. Digital marketing is the most important component of your marketing strategy. Digital advertising and marketing allows your practice to reach your target demographic. Wellness (aka Functional Medicine, Lifestyle Medicine) is an ever-growing part of healthcare. As baby boomers age the quality of their life becomes more and more important. We understand how to reach the right audience with the right message for Wellness clinics. Whether you are a Wellness startup, or an experienced brand, you can benefit from digital advertising. In 2017 we marketed for a Wellness clinic and doubled their revenue in six months! Bradford Marketing has been marketing Hormone clinics for men and women for a number of years. We understand the messaging and platforms that are best used to deliver the highest ROI for our clients. We have successfully marketed Hormone clinics in the Tulsa, Oklahoma City, and Dallas areas. Let us add your Hormone clinic to our list of clients growing their clinic or franchise. We have successfully marketed a number of Aesthetics practices including plastic surgeons, cosmetic surgeons, and med spas. Bradford Marketing knows how to use digital advertising to help your Aesthetic practice find and market to your targeted demographic. We understand that each product and service may have a different targeted demographic so we customize the messaging and ad creative for each demographic to increase leads to your Aesthetics practice.. In the past, Surgeons and Medical Specialists, would not have dreamed of advertising, but medicine and healthcare has changed. You and your practice must stand out from the competition. We have successfully marketed for a number of Surgeons and Specialists including neurosurgeons, plastic surgeons, eye surgeons, retina surgeons and podiatrists, to name a few. In every case the Surgeon or Specialist was looking to expand their practice or increase patients to a specific procedure. 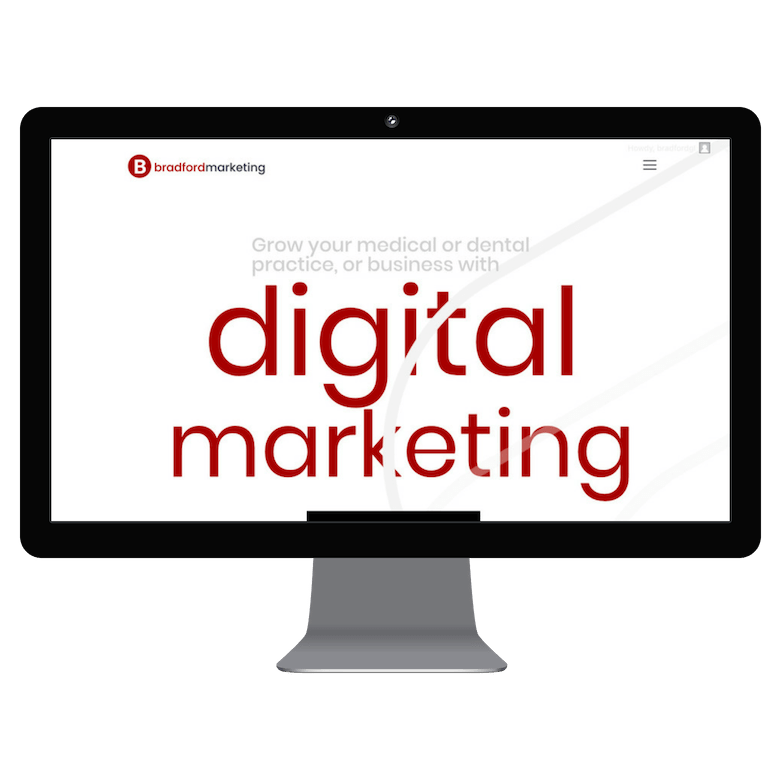 If you want to increase your patient count, or drive more patients to a specific procedure, then digital marketing is the best method to generate more leads to your practice or clinic. Dentistry is one specialty that is quickly adapting to digital marketing, especially Cosmetic Dentistry and Implants. Dental Clinics can be successfully marketed using digital advertising. We have successfully grown the practice of several area dentists. Do you have a Chiropractic clinic you would like to grow? We will work with you to determine your target demographic and messaging to deliver leads to your Chiropractic clinic. We have successfully worked with several Chiropractors, growing their practice with our services. We've worked with multi-physician Obstetrics & Gynecological groups to increase patients to their practice. As part of the marketing we were asked to increase patients to specific procedures. We know and understand how to market OBGYN practices and look forward to working with you to grow your practice.